The Australian cruise industry is booming and it seems that South Australia is on the receiving end of the lucrative luxury trend. Last month saw the state reach record heights with four calls from one of P&O’s most prestigious vessels. The 64,000 tonne Pacific Pearl anchored in Port Lincoln, Adelaide, Kangaroo Island and Robe in a move that generated an estimated $1 million worth of tourist revenue. The calls were part of a round trip voyage from Melbourne with all but Adelaide enjoying maiden call status from the leading liner. A cruise experience like no other! Capable of carrying 1800 passengers, the calls resulted in a huge output of cash from shore excursion goers splurging on shopping, dining and tours to exciting destinations such as Naracoorte Caves, Seal Bay and Hahndorf. Thrill inducing activities were also on offer including diving with ocean wildlife such as great white sharks, tuna and sea lions. As well as an array of unforgettable shore experiences, Pacific Pearl passengers are treated to luxurious on-board facilities spread across 11 decks. With two swimming pools, a poolside bar, seven dining options, eight bars and lounges, multi-level entertainment lounge, four child friendly centres and a collection of at-sea boutiques, guests enjoy the very best in cruising indulgence. It’s been three years since P&O visited Adelaide and the line’s senior vice-president, Tammy Marshall maintains that the recent visits represent the beginning of a close and prosperous relationship with South Australia. P&O has big plans for 2015 when it will begin offering round-trip cruises departing from Adelaide. The Pacific Jewel has been nominated as the servicing ship and will be sailing the routes in February and March. 2016 will see the line double its Adelaide departures in anticipation of a hugely positive response from cruisers wanting to explore the famous Festival State. 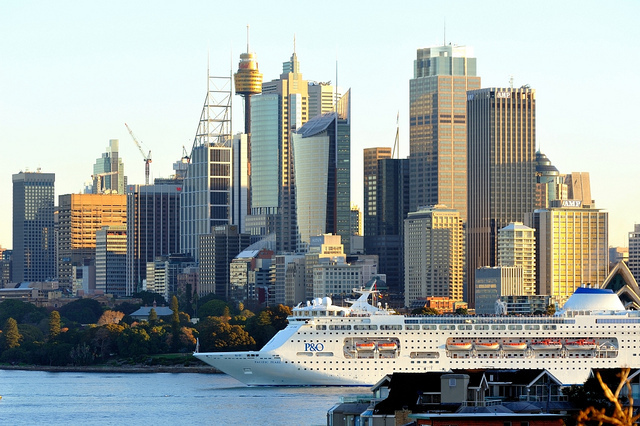 South Australian Tourism Minister, Leon Bignell welcomed the announcement and has pledged to help the South Australian Tourism Commission to work closely with local businesses and communities to ensure P&O passengers are greeted with a warm South Australian welcome. Cruise visitors make up a vast segment of South Australian tourism with a huge 29 cruise ships visiting state ports in the 2013-2014 season. With the ships came around 67,000 passengers that injected an enormous $14.5 million into the South Australian economy. With statistics like, it comes as no surprise that SA is going all out to impress its cruising visitors. While the economic benefits are noteworthy, at the end of the day P&O passengers are the real winners. The combination of premium Pacific Pearl facilities, gorgeous new South Australian destinations and a hospitable welcome from the local state community is sure to result in a truly unforgettable cruising voyage. If you’d like to sail on the Pacific Pearl or a P&O cruise, please see our P&O cruise packages here.